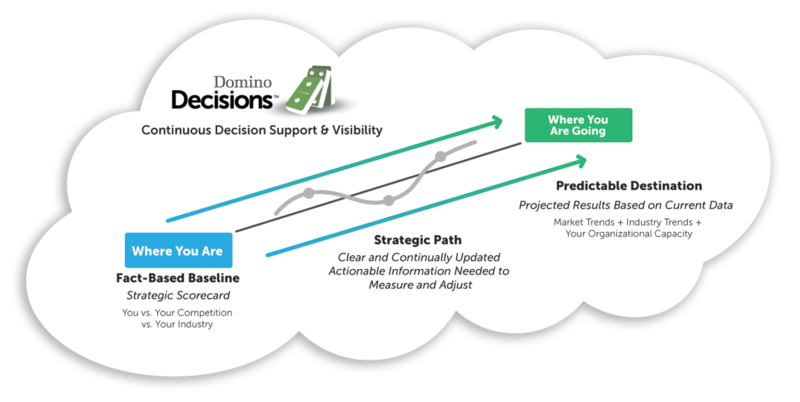 Built by marketing people to meet the needs of marketing people, Domino Decisions lets you take control of marketing. Get 360-degree visibility by combining information from multiple sources – CRM, marketing automation, web and social analytics, and more – in a single, powerful platform. Build data-driven marketing plans in a fraction of the time you would typically spend. Test multiple scenarios and understand what you can expect. Understand and improve marketing performance with real-time insights at the push of a button. Break down silos. Get a complete picture. And link marketing with the rest of the organization. 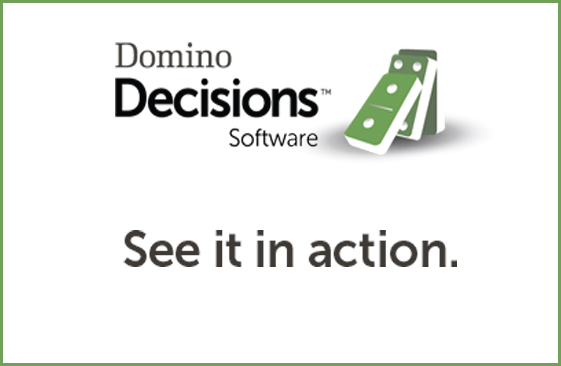 Domino Decisions is implemented quickly. Your entire team will start delivering more effective, efficient marketing – and gaining more value from your current tools and processes.